The whole nation waited with bated breath, glued to television sets when the verdict was disclosed to the media at about 4.30 PM. Muslim Board. 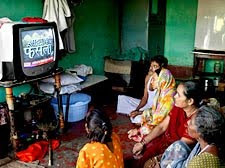 On television Hindus displayed satisfaction and relief whilst the Muslims guardedly said they accepted the courts decision and would decide whether to challenge it in the Supreme Court. 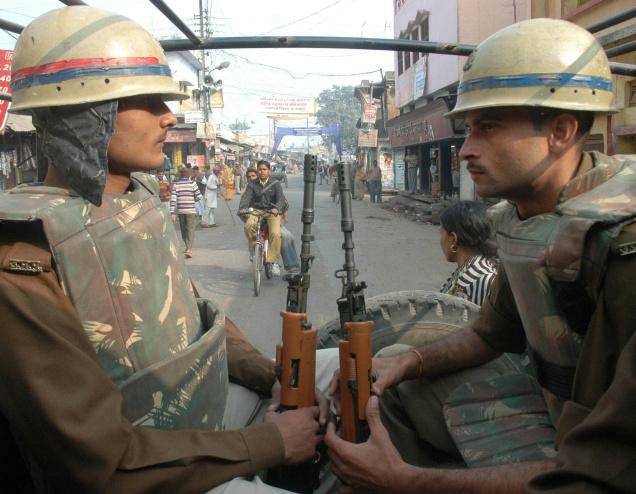 An uneasy calm prevails everywhere and till now there have been no reports of violence or provocation. Extreme precaution has to be exercised from now onwards. Schools will remain closed. I shall refrain from going to the District Court tomorrow where I had some business to attend to. The streets are deserted and many shops closed by 3PM. The milieu remains dangerous and volatile. 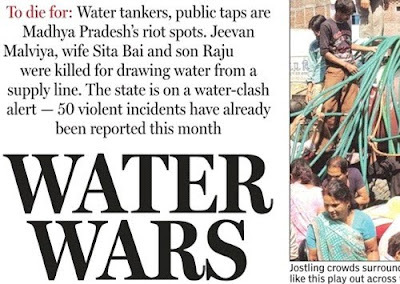 In the media everybody is making fervent appeals for calm and communal harmony. But India is very unpredictable a small spark can ignite a blazing inferno. 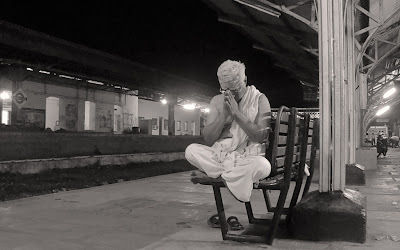 It is for people not to give in to their hurt religious sentiments and listen to rumours or provocation. This is a historic moment for our country and we must stand together as children of one God. According to media interpretations, no one has 'lost ' so to speak. 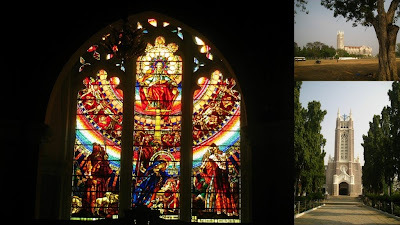 Both religious groups should let go of the past and share the space allotted to them. I don 't know the details of the judgement but this much is clear. India can rise up to the occasion and show the world that people of different faiths can live in peace and harmony side by side. Below is a news update from the New York Times website. 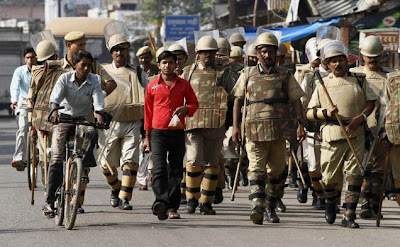 In recent weeks, India’s government has beseeched the public to remain calm, with Prime Minister Manmohan Singh and the leaders of the major political parties issuing appeals for peace. 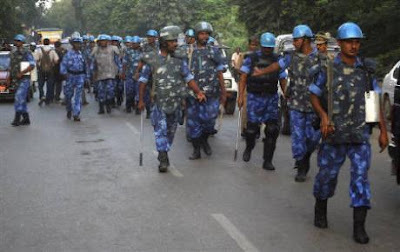 As a precaution, the Home Ministry deployed almost 200,000 paramilitary officers from both state and federal forces across Uttar Pradesh, which includes the contested site. One unit was assigned to stand guard outside the Taj Mahal in the city of Agra. The ministry also placed a temporary nationwide block on bulk text messages as a measure to block rumors or efforts to organize mass protests. By early Thursday evening, with the details of the case becoming public through television reports, there were no reports of protests or violence. Earlier, P Chidambaram, the home minister, had predicted the Indian public would respect the court’s finding. Jesus said" God is spirit, and his worshipers must worship in spirit and in truth." Tomorrow is the D-Day and the whole of India is poised for it. The media is a-buzz with messages for peace and calm from the government, civic authorities, social political and religious leaders , celebrities and people from all walks of life. 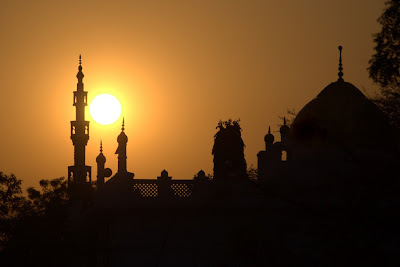 True worshippers worship God in spirit and in truth as He does not dwell in buildings made with human hands this is something to reflect upon against the backdrop of this temple/mosque battle. 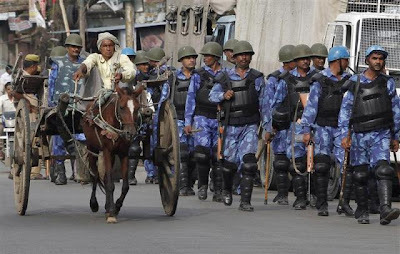 The whole nation had been put on high security alert, I got its feeling when I passed the city centre this evening. 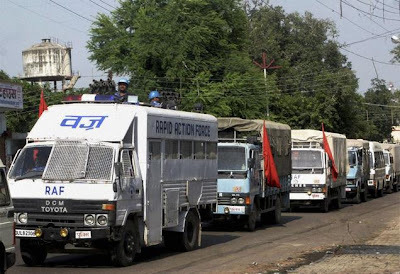 A flag march was taking place with truck loads of police and paramilitary jawans. I didn 't mind the traffic jam as the presence of security forces made me feel less nervous of untoward incidents taking place. Later on we saw a helicopter on air patrol. The news will be out on Thursday between 3.30 and 4 pm. We are praying that the outcome of this long judicial process will be peacefully accepted by both Hindus and Muslims. 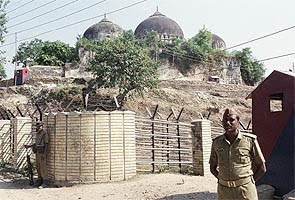 New Delhi: Sixty years after it first went to court, there shall be a verdict in the Ayodhya title suit on Thursday. 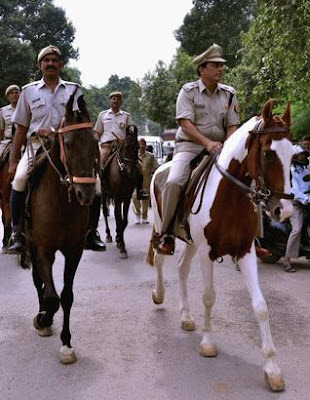 This, after the Supreme Court today rejected a petition seeking that the verdict be deferred and said the Lucknow bench of the Allahabad High Court could go ahead and deliver judgment on the property dispute. (The Ayodhya dispute: A timeline)The High Court is expected to deliver its verdict on Thursday, September 30, after 3 pm. 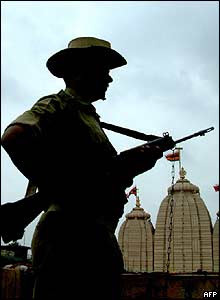 On Friday, October 1 one of the judges hearing the case, Dharamvir Sharma, retires.The verdict in the Ram Janambhoomi-Babri Masjid dispute will decide whether the 2.7 acres of disputed land on which the Babri Masjid stood before it was demolished on December 6, 1992, belongs to the Sunni Central Waqf Board or to the Akhil Bharat Hindu Mahasabha.In the Supreme Court today, Chief Justice of India HS Kapadia read out a one-line order to reject the petition of retired bureaucrat Ramesh Chand Tripathi, who had sought that the verdict be deferred and the matter be settled through reconciliation. 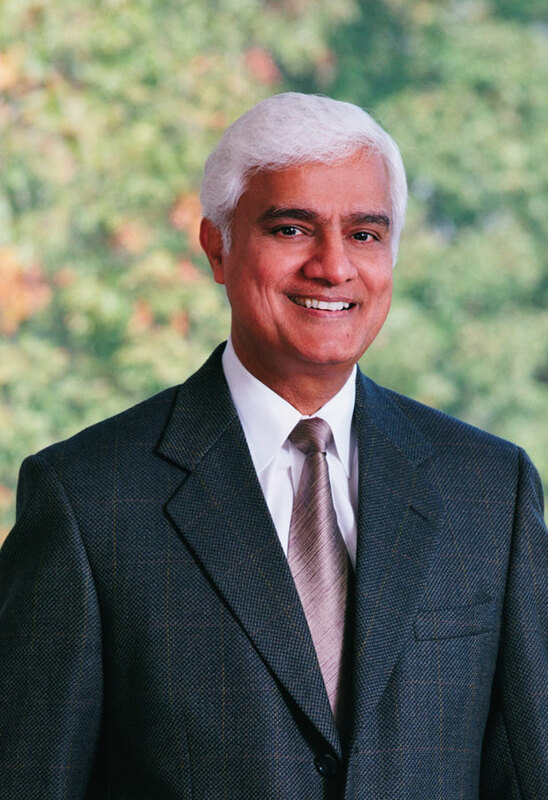 Justice Kapadia said, "Having considered the detailed arguments advanced in this cases, we are of the view that the special leave petitions deserve to be dismissed. Accordingly, we hereby pass the following order: Special leave petition (C) Nos 27466-27467 of 2010 stands dismissed." 32 places have been identified as "sensitive." Kerala, Karnataka and Madhya Pradesh have been identified as trouble-prone. Central forces would be 10 minutes away and on call with extensive deployment near sensitive spots. The next 2 days will be very tense for all of us. My state and city are highly sensitive spots. We were told that 4 truck loads of para millitary policemen disembarked just a block away from our campus on the main street. Earlier there were flag marches in certain parts of the city. Everyone is hoping that the contending groups will show maturity and restraint after hearing the judgement. The aggrieved party can appeal to the Supreme court , that option is open. Please pray that peace may prevail in India. Mary Wanamaker Girl 's School was established more than 100 years ago by a generous gift from a leading American businessman John Wanamaker. 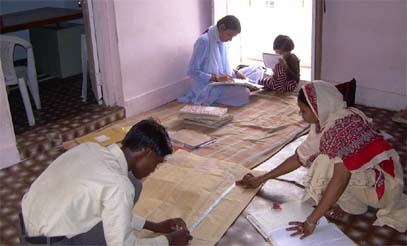 Women education was almost unknown in India at that time. There were very few schools for girls . They were taught the skills of housekeeping and married off at an early age. Mission schools tutored Christian girls and those from progressive homes. Now after more than a 100 years this school can boast of cultivating , rearing and training thousands of women of all religions, castes and economic backgrounds. Many of them are highly placed in society and have caused changes in their own spheres of life. My mother graduated from this school and went on to pursue her Bachelor 's degree in the Isabella Thoborne College in Lucknow ( our state capital) IT College as it is known is a renowned Methodist institution of old. Princesses from royal estates studied with my mother. 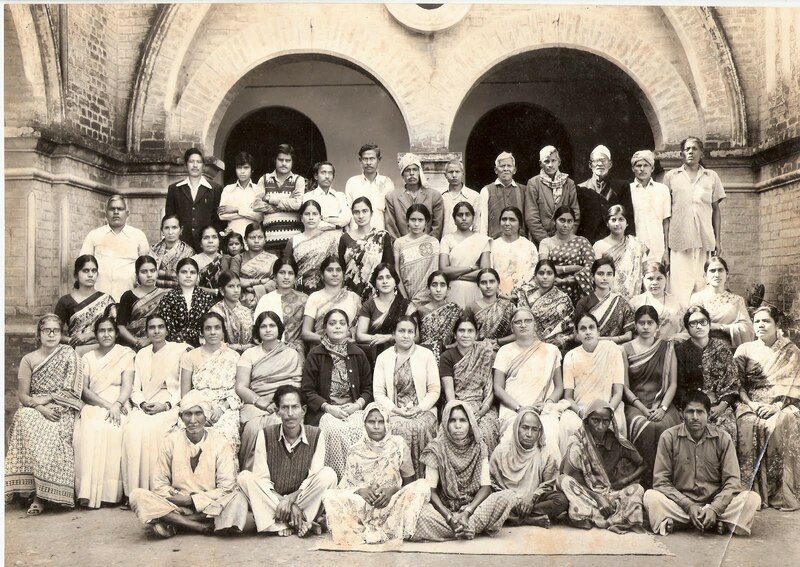 My mother finished her Master 's from the Allahabad University and returned to her Alma mater to teach for 37 years. The above photograph is from the 1978-79 yearbook.In the front row my mother is seated 5th from the left. Aunt Sybil is seated 2nd , Aunt Marjorie 8th ,Aunt Virginia is seated 10th. And Aunt Maya is standing 6th in the first row. All these ladies mentioned belong to my family.Aunt Marjorie was the Headmistress of the Primary section , she was a dedicated and selfless social worker too. This is a staff photo . The lower grade employees, clerks, cleaners, watchmen and ayahs are also included in the picture. I remember most of them from my childhood. The school was a big part of our lives although we studied in the Convent School. Here are some pictures of the old part of the school. My mother tells us that the Wanamaker stores used to send pencils to the students as Christmas gifts but not anymore. It looks like an enchanted castle. 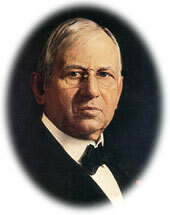 John (Nelson) Wanamaker (July 11, 1838 – December 12, 1922) was a United States merchant, religious leader, civic and political figure, considered by some to be the father of modern advertising. Wanamaker was born in Philadelphia, Pennsylvania. 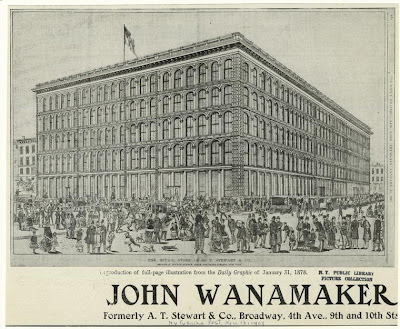 Wanamaker's "Grand Depot" at 13th & Market Sts. from my own money that I earned." John Wanamaker knew the value of the Bible and he lived by it. The seed he sowed in India has become a large tree. You never know what great fruit your smallest act of kindness may yield. There were mixed reactions from the general public after we heard the deferment of the crucial judgement till Sept. 28th. 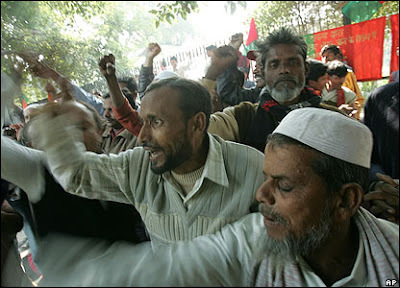 The Supreme Court has given the two contending groups, Hindus and Muslims a few more days to seek an amicable solution. But neither party displays any eagerness for that. What could not be done in the past 60 years cannot be accomplished in a week. And there is the time factor too. The judgement ha s to be pronounced by Sept. 30th because Justice Sharma . one of the judges of the 3 judges bench is retiring on Oct. 1st. If the judgement does not come by then , a new judge will have to be appointed and all the hearings repeated , causing months of delay.It is a very complicated situation. Some people heaved a sigh of relief as all of us were preparing for a self imposed curfew for the next 3 days, fearing the worst. I was invited to a ladies Bible study yesterday but did not go. We cancelled today 's prayer meeting. Two much awaited movie s were not released today. Some schools had already announced a holiday today, so children missed a day 's study. Please pray for peace in our land. Below is a news report from NDTV. 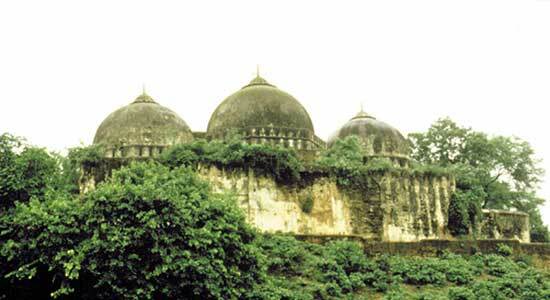 New Delhi: The verdict on the Ayodhya title suit has been deferred by at least five days by the Supreme Court. It was scheduled to be delivered on Friday by the Lucknow bench of the Allahabad High Court. The Supreme Court will now hear a plea before it again on Tuesday, September 28. 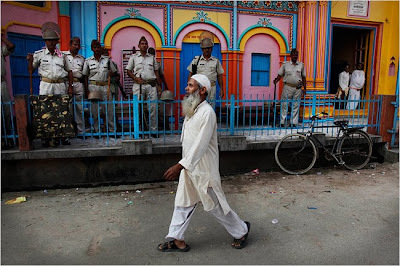 (Watch: Ayodhya verdict deferred) The warring parties may see reason and try and bring a solution so that the judgement is not delivered," said Mukul Rohtagi, Senior Advocate, Supreme Court. Zafaryab Gilani, the counsel for the Muslim Wakf Baord said after today's court order,"I don't think there is any chance of reconciliation. 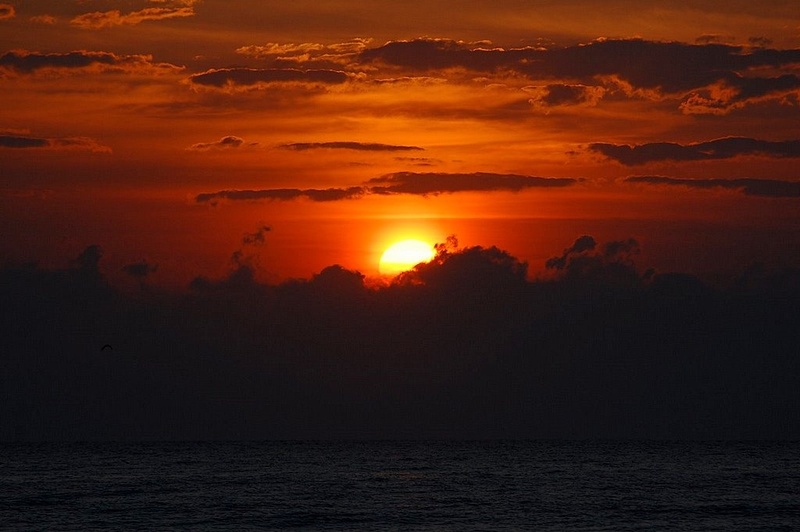 ""There can be a reconciliation only after there is a proposal from the other side. Otherwise, we will respect whatever the court decides," Mahant Bhaskar Das of the Nirmohi Akhara told NDTV. In the Supreme Court on Thursday, there was a difference of opinion between the two judges who heard Tripathi's petition. Justice HL Gokhale said, "Even if there is one per cent chance of reconciliation, it should be given. Consequences for ordinary people, but not for the petitioners.If there are consequences, people will blame the Supreme Court." Another key decision by the Supreme Court on Thursday was making the Centre a party to this case. 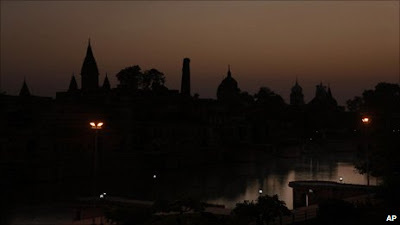 After the divided opinion, the court has issued notice to all parties in the Ayodhya case and to the Attorney General, which means that the Centre, which had hitherto not been a party to the case, can now put forth its views. 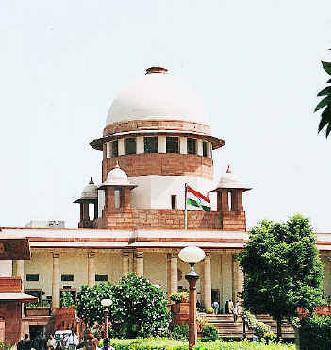 A three judge bench is now expected to hear the case as a detailed order on the Ayodhya deferment plea says in view of the difference of opinion between the two judges, the matter will be placed before the Chief Justice for constituting a larger bench.All eyes are on whether there will be a verdict by the end of this month. This because one of the High Court judges hearing the case in Lucknow retires then. If the verdict is not delivered before September 30, the entire trial may have to be conducted again. The Supreme Court took this into account before fixing its next date of hearing for deferment to September 28. 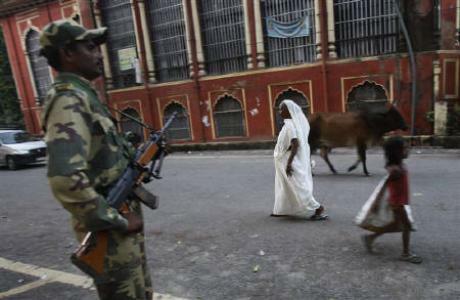 The centre has been wary in the run up to the Ayodhya verdict. 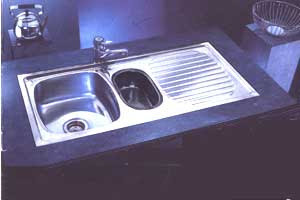 There have been appeals from the Prime Minister, the Home Minister and the cabinet. (Read: Ayodhya verdict: Chidambaram's peace appeal)A ban on bulk SMSes and MMSes has been extended till the September 29. 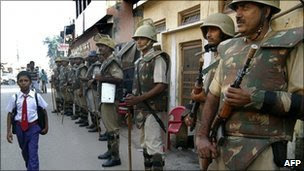 There is unprecedented security at the Lucknow High Court and many battalions of paramilitary forces. 60 years after the case was first dragged into court, the dust over the Babri dispute still refuses to settle down, and the court order is still a way out. But the next few days are an opportunity for the wisemen of the two communities, who in 1947 decided to share a nation - the Babri dispute is over just 70 odd acres of land. The woman who comes to help me a with a little cleaning work arrived this morning with her face shining. She is uneducated and belongs to an impoverished background. She lives with her husband, mother-in-law and 4 children in a small shack .Their living conditions are deplorable. This woman has a myriad of struggles to make ends meet as her husband is an alcoholic. Her son is lazy and un-settled and loses interest in any employment he finds. Both men hardly contribute to the family 's income.The 3 daughters are of marriageable ages (teens) and the mother is worried for them. 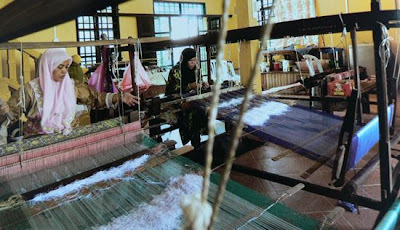 They are conservative and don 't allow the girls to work. There is no running water in their house. A neighbour had been giving them water in lieu of payment, but a few months ago he stopped that as his water supply dropped. 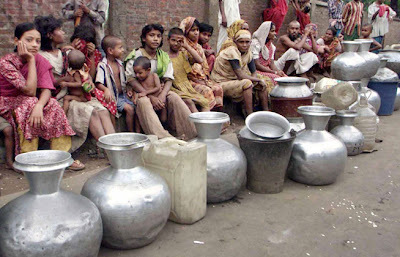 Poor N has been going to a roadside tap to collect water for her entire family, every morning before coming for work. She washes the family clothes at our garden tap. 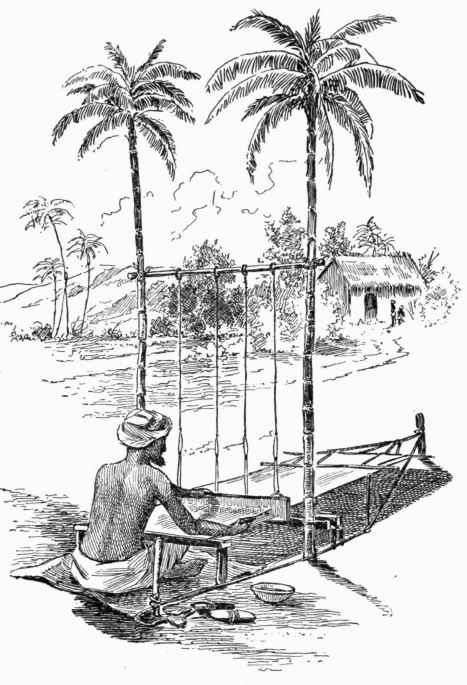 Her men do not lift a finger to help her and the girls are not allowed to go to the roadside. Today this lady was all smiles because a community leader finally managed to get a water connection for their shanty settlement. She was so excited and told us that the workmen have already started laying the pipes. She is planning to save some money and get her own connection from the community pipeline she told us proudly. It was as if she has discovered an oil gusher in her back yard. India is a land of glaring contrasts. 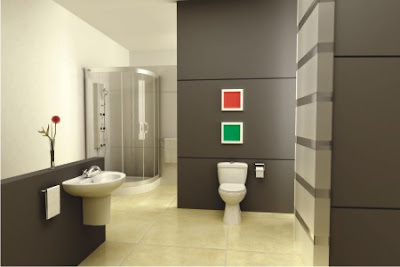 There are those who have luxuries like these pictured below. Many people in the West may not be aware of the 100 year old Temple/Mosque dispute in India which has caused a lot of communal disharmony, violence and terrorism in our country. Ir revolves about the ownership of a 16th century Mosque which the Hindus claim was built on the remains of a temple in the birthplace of god Ram, which the Muslims destroyed. After a century long litigation a case was filed 60 years ago in post Independence India which has dragged on till today taking on many political and religious twists and turns. Today the judgement concerning the ownership of the disputed land was to be pronounced by the (State) Allahabad High Court. 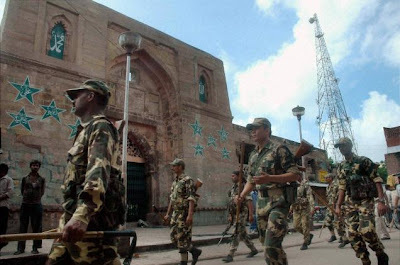 The whole state ( and several parts of India) have been in a state of high security alert fearing clashes between Hindus and Muslims after the pronouncement of the judgement. There has tension , fear and nervousness in my city. It was due to virtually close down for the next 3 days and there was panic buying etc. But today the country 's apex court -the Supreme Court in Ne w Delhi has deferred the judgement until Sept 24th. So everybody is again on tenterhooks. Below is the history of the land dispute and reactions to it. 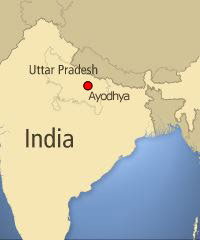 The decades long Ayodhya dispute revolves around the claim over the land in Ayodhya, which is considered scared by Hindus as it is believed to be the birthplace of Lord Ram while Muslims seek to defend the Babri Masji at the site. 1947 - A Government order prohibited Muslims from being around the site (at least 200 yards). The main gate was locked. 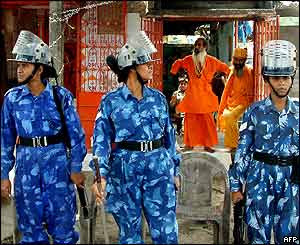 However, Hindu pilgrims allowed to enter through a side door. 1984 - The Vishwa Hindu Parishad (VHP) started a campaign to reclaim the site for Hindus so that a temple dedicated to the infant Ram (Ramlala) could be erected. 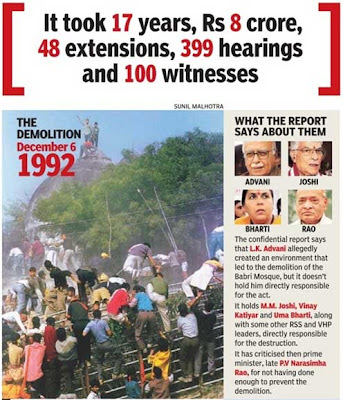 1992 - The dispute took a rather ugly turn on Dec 6, 1992 when the Babri Masjid was demolished during a political rally. 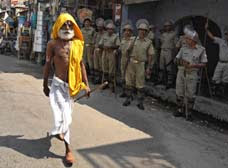 This led to riots in which over 2000 were killed.Ten days after the Babri Masjid demolition, the Liberhan commission was set up to probe the circumstances that led to the demolition. 2003 to 7 Aug, 2003. The study reportedly found evidences of an ancient temple. A 574-page report with maps, drawings as well as opinions was presented before the Lucknow bench of the Allahabad high court in Aug 2003.Based on the archaeological evidence the the ASI report noted that the remains had distinctive features found associated with the temples of north India and said that there was sufficient proof of existence of a massive and monumental structure having a minimum dimension of 50x30 metres in north-south and east-west directions respectively just below the disputed structure. 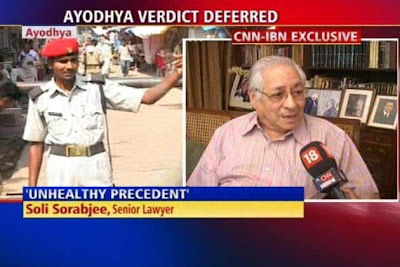 New Delhi: In an exclusive interview to CNN-IBN, former Attorney General Soli Sorabjee on Thursday said deferment of the Ayodhya verdict by the Supreme Court has set a bad precedent for the future. 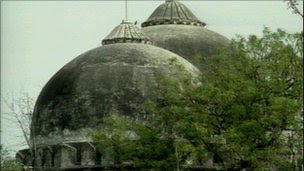 "Is it really expected that in a week a settlement will be found when persons of different shades of public opinion different political personalities have tried and failed…is blind irrational optimism," Sorabjee said when asked to comment about the apex court's decision to stay the verdict in the Ram Janambhoomi-Babri Masjid title suit case. The Supreme Court has said the deferment is in public interest and has posted the matter for further hearing on September 28. "Settlement of a case in any matter is welcome. In this case efforts have been made for a settlement over months… nothing has come out of it. Is there any scope of settlement? I'm sorry there's none," he said. The political atmosphere was conducive to the verdict and the Supreme Court's decision has led to a lot of complications, Sorabjee said. "Let the verdict be given. Look at the complications, the judge is going to retire. Because of the political parties, because of the appeal of the Muslim Board, the atmosphere was good. "We had to go on with the verdict. What's the idea of putting it off? If there was real possibility of settlement I'm all for it," he added. "This will be an unhealthy precedent for future. It should not be repeated," he said. 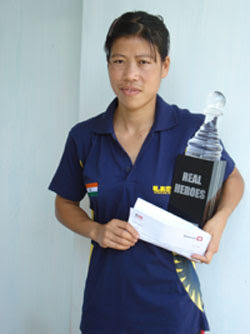 Mary Kom, a mother of two little boys won the World Women 's Boxing Championship. In a TV interview gave thanks to Jesus Christ who gave her success. Read her story taken from The Hindu newspaper. And watch the BBC video which will tell you about her humble beginnings. Before the bout, Kom had said about her opponent - "I never take my opponents easy. On her day anybody can be dangerous. I have beaten her twice before and that gives me a good feeling but I can't really say whether it would be easy or tough." After winning the World Women Boxing Championship title for a record fifth time, India’s M.C. Mary Kom is now targeting a medal in this year’s Asian Games and the 2012 London Olympics. The boxing sensation outpunched Romania’s Stelut Duta 16—6 in the 48 kg final in Barbados Saturday. “I would like to thank my husband and my sponsors for giving me the will power and encouraging me. I’m really really happy and I thank God,” said Mary Kom, a mother of twin sons from Manipur. “I celebrated the victory with all members of the squad,” the 27—year—old said. India will be hoping that Mary Kom wins the gold in 2012 London Olympics, where women’s boxing will make its debut. “I can’t say anything about gold, but I will try my level best to win a medal in London,” said the champion boxer. Women’s boxing will also feature in the Asian Games at Guangzhou, China, Nov 12—27. “I have been training hard to win medals in the Asian Games and Olympics,” she said. It was a memorable victory for Mary Kom, who become the only woman boxer on the circuit to have won a rich haul of six medals in as many World Championships. The Indian beat the Romanian for the third consecutive time. Apart from Mary Kom, Kavita Chahal is the other Indian to win a medal in the championship, winning bronze in the 81 kg. It was Mary Kom’s first title in the 48 kg category after winning the previous world titles in the 46 kg category. 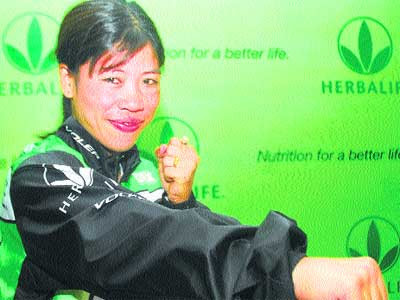 In the inaugural World Championship in 2001 in Pennsilvania, Mary Kom won silver in the 48 kg category. She won her first world title in 2002 in Antalya, Turkey, and went on to successfully defend her 46 kg gold medal in the next two editions in Podolsk, Russia, and at home here. She came back from a two—year sabbatical to clinch her fourth successive world title in 2008 in Ningbo City, China. This year, the 46 kg category was dropped and the lowest weight category was 48 kg. She was awarded India’s highest sporting honour, the Rajiv Gandhi Khel Ratna, in 2009. However, India’s overall performance in the championship dipped. India were the champions at home in 2006 winning eight medals, including four gold. India finished fourth in 2008 with one gold, one silver and two bronze. This time they will have to contend with a gold and bronze each. I congratulate Mary Kom who worked so had to achieve he r goals an d become a world champion. Although in my opinion boxing should be reserved for the men 's arena, I am old fashioned. What about you? Do you think boxing should be a women 's sport? Spiritually speaking we all are athletes on the track field of life. Let' s train with a purpose to win the imperishable prize. 25Everyone who competes in the games exercises self-control in all things They then do it to receive a perishable wreath, but we an imperishable. I struggled as a teenager growing up in Delhi. For those of you who have read my story in Walking from East to West, you'll know failure was writ large on my life. My dad basically looked at me and said, "You know, you're going to be a huge embarrassment to the family—one failure after another." And he was right given the way I was headed. I wanted to get out of everything I was setting my hand to, and I lacked discipline. During this time, India was at war and the defense academy was looking for general duties pilots to be trained. So I applied and I went to be interviewed, which involved an overnight train journey from the city of Delhi. It was wintertime and we were outside freezing for about five days as we went through physical endurance and other tests. There were three hundred applicants; they were going to select ten. On the last day they put their selection of names out on the board, and I was positioned number three. I phoned my family and said, "You aren't going to believe this. I'm going to make it. I'm number three. The only thing that's left is the interview. The psychological testing is tomorrow, and I'll be home." The next morning I began my interview with the chief commanding officer, who looked to me like Churchill sitting across the table. He asked me question after question. Then he said, "Son, I'm going to break your heart today." He continued, "I'm going to reject you. I'm not going to pass you in this test." "May I ask you why, sir?" I replied. "Yes. Psychologically, you're not wired to kill. And this job is about killing." I felt that I was on the verge of wanting to prove him wrong—but I knew better, both for moral reasons and for his size! I went back to my room and didn't talk to anybody. I packed my bags, got into the train, and arrived in Delhi. My parents and friends were waiting at the platform with garlands and sweets in their hands to congratulate me. No one knew. I thought to myself, "How do I even handle this? Where do I even begin?" They were celebrating, and yet for me, it was all over. Or so I thought. I was to discover later that God is the Grand Weaver of our lives. 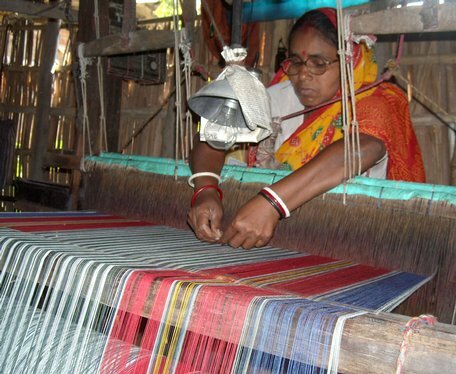 Every thread matters and is there for a purpose. Had I been selected, I would have had to commit twenty years to the Indian armed forces. It was the very next year that my father had the opportunity to move to Canada. My brother and I moved there as the first installment, and the rest of them followed. It was there I was in business school and God redirected my path to theological training. It was there that I met my wife, Margie; there my whole life changed. The rest is history. 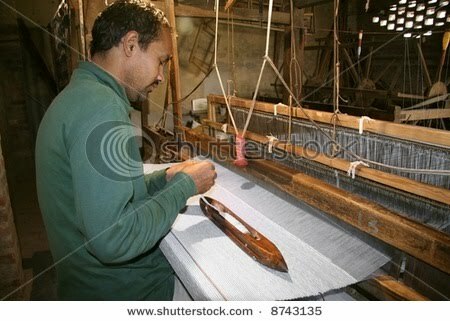 Had I been in the Indian Air Force, who knows what thread I'd have pulled to try to wreck the fabric. Thankfully, our disappointments matter to God, and He has a way of taking even some of the bitterest moments we go through and making them into something of great significance in our lives. It's hard to understand at the time. Not one of us says, "I can hardly wait to see where this thread is going to fit." Rather, we say, "This is not the pattern I want." Yet one day the Shepherd of our souls will put it all together—and give us an eternity to revel in the marvel of what God has done. Our Father holds the threads of the design, and I'm so immensely grateful that He is the Grand Weaver. Excerpted and adapted from Ravi Zacharias's The Grand Weaver: How God Shapes Us Through the Events of Our Lives (Grand Rapids: Zondervan, 2007).